I’ve been meaning to post new/old work for sometime, put things just kept getting in the way. 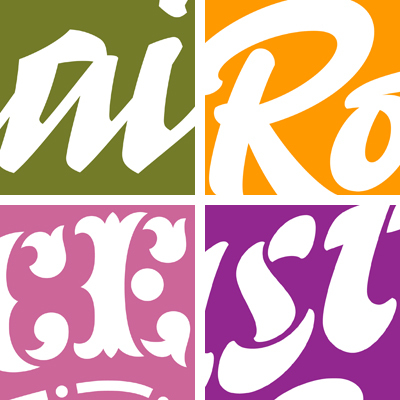 At any rate, check out the recent additions to the lettering section: Roman Rockwell is a disciplined brush script, while the Kanai lettering riffs on mid-century calligraphic trends. Scissors and Spice was inspired by flour sack designs and the Bastarda nameplate is a juiced up stenciled italic. Finally, I also drew a brushy blackletter B for Daily Drop Cap.